I have always appreciated women with fine taste in interior design or "household fashion", and more than once refused to think that man could reach this level of impressionable indoor aesthetics. But lately, I've proved myself wrong. Man can be both objective and attentive to detail at the same time, and very difficult to impress when it comes to fine living. Let's take these two fine pieces of furniture: the Lobster and the Shelley chair designed and created by Verikon Furniture. They have masculine skills written all over. Why? Because of their tendencies to keeping their classic color, rough appearance and modern functionality. These original pieces of art inspired by nature's organic feel, have their "shell" made out of walnut veneer and their nestling interior of durable pantera foam covered in soft leather. 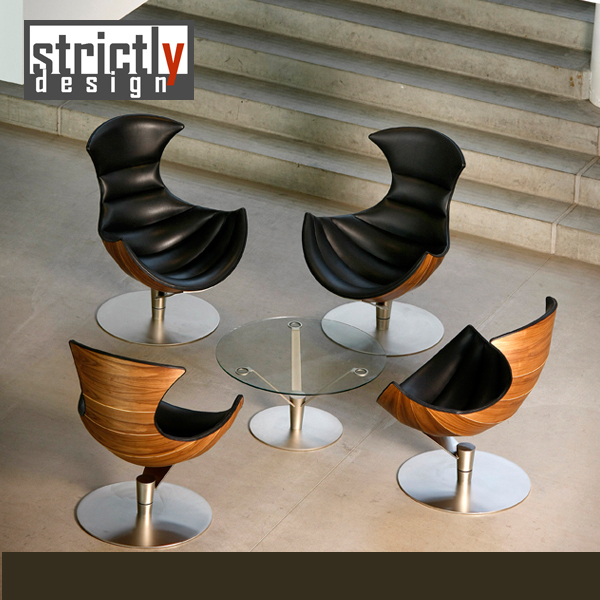 To contra balance the aspect of simplicity, the designer assured the base of these chairs with chrome plated swivel steel placed skillfully into a secure stand. Start creating your own environment based on this modern classic look, or feel free to combine this style as you please because it will look wonderful in any circumstance.